The Knoster Model for Managing Complex Change is a useful framework to thinking about change management. 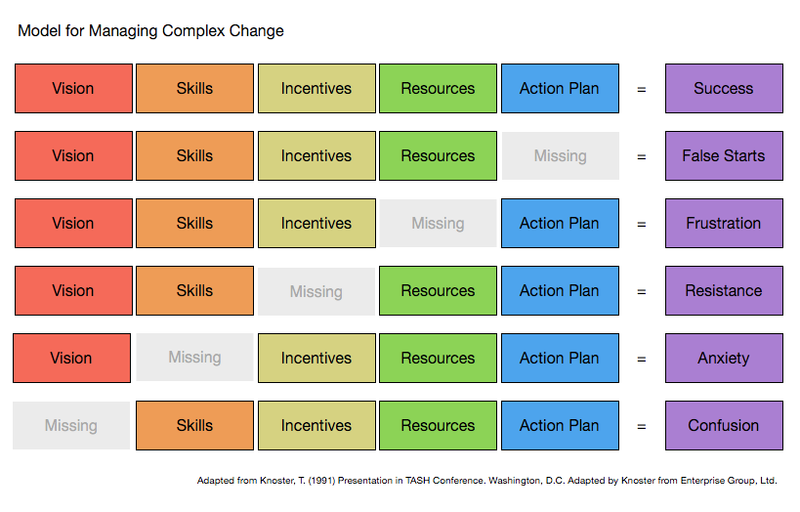 According to Knoster, there are five elements required for effective change: vision, skills, incentives, resources and an action plan. If those leading change fail to put any one of these elements in place, then the change efforts will fail. This model can be a helpful way for planning as well as diagnosing what might be needed when plans go awry.